Today, my blog is dipping a toe into uncharted territory! This is my first ever collaboration, with the lovely Kanza of Faded Rouge. We’re each sharing three favorite nail colors for the spring. I’ll review each of these selections in more detail later this week, but here are my current top 3 picks for delightful, spring-inspired nail colors! I’ve selected them from Orly, SinfulColors, and Zoya. Coming into spring from the icy winter, I always love pastels and brights on the nail, with a touch of crisp sparkle. It’s been a while since I’ve done a Throwback Thursday post! I don’t know when Wonder Mint (1599) was first released, but the color code indicates that it’s from quite a while back, so I’m gonna say it qualifies. The color is a little misnamed, in my opinion. It’s more of a robin’s egg blue than a mint green. Wonder Mint is like a brighter version of China Glaze For Audrey, and it’s bluer in sunlight, since warmer indoor light makes it look more green. The color is a pastel, but it’s just punchy enough to avoid a chalky appearance. Finally, to round off the new Spring 2017 SinfulColors collections, here are two sets released in collaboration with celebrity makeup artist Kandee Johnson. All the shades are sugar-textured, matte, holographic, or iridescent. Pretty Vintage consists of 3 new shades of Sugar-textured polishes and 9 new shades of Matte polishes in the regular Nail Color line. Vintage Anime consists of 12 new shades of iridescent and holographic polishes in the regular Nail Color line. More Sinful polishes for Spring 2017! It’s mind-boggling to me how many collections they do. Bayou Babes consists of 5 new shades and 3 repromotes in the SinfulShine with Gel Tech line. I Ain’t Jambalayan is my new favorite polish name and is instantly on my wishlist! I’m just posting more SinfulColors spring collections today, because this week has been utterly crap on a personal level. Peanut started preschool last week—he took to it like a duck to water—but it unfortunately coincided with loads of the kids there getting over an illness. Needless to say, he fell ill over the weekend and as of last night, everyone in our family has it! We’re all congested and miserable, Family Day was a bust, Peanut has missed school all week, and the kids won’t stop whining and generally behaving like mini-tyrants. I think everyone slept a grand total of four hours last night, due to the kids constantly waking up because of fever (low-grade, thankfully) and congestion. I am lucky at the moment, because the stars have aligned and both of my little monsters are napping at the same time, so I put this post together. 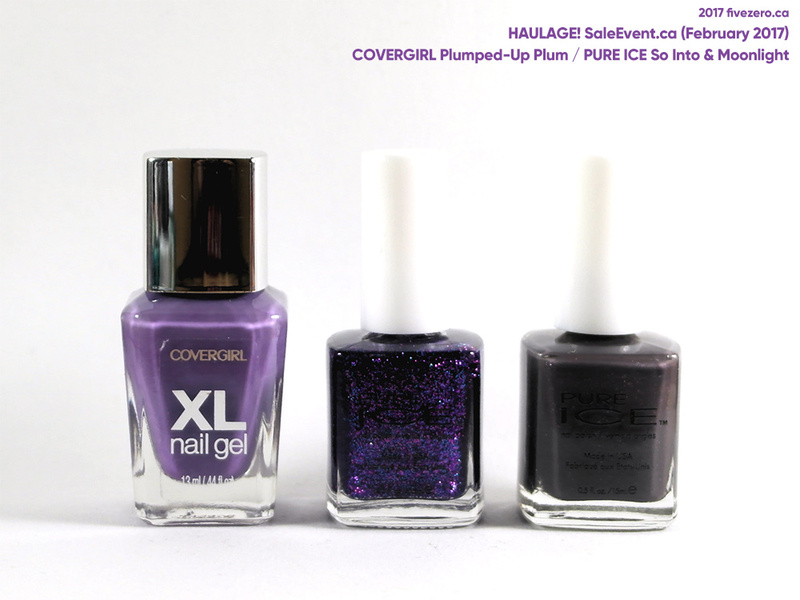 SinfulColors recently released a set of new shades in their regular Nail Color line. Also, I missed posting about their Valentine’s Day collection, so here it is, as well. I imagine the collection is still available in stores! All New Colors consists of 5 new shades and 5 Walgreens exclusives (boo for us without access to Walgreens!) in the regular Nail Color line. SinfulColors’ has released yet another Spring 2017 collection, Desert Divas. It consists of 9 new, limited edition Stoned Crystal Shimmers. These polishes contain flakes, giving nails the look of stone.